The other day when I was mentioning how there weren't that many great DJ mixes being sent our way is of course the day I run into the latest DJ mix by The Magician. 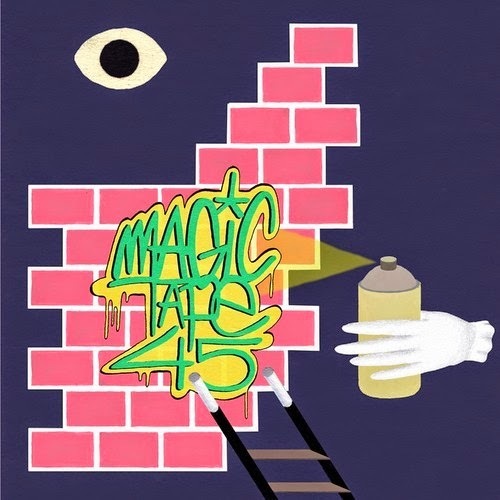 Number 45 of his pretty regular Magic Tape series. Easily one of the best/most consistent mix series out there. We've been posting them for ages. Hard to believe he's 45 in already. Soon it'll be the big 5 0. Just as always The Magician gives us the goods with his latest. Tons of amazing music by tons of different artists. Thanks for always spreading the amazing new music vibes to the masses. Check it below, I promise it will help your work week breeze on by, and as always it's free to download.